An evolution in the delivery of state-of-the-art sustainable housing with efficient design, innovative servicing and local identity at its core. East Village at Knutsford is a 1.5 hectare site that forms one portion of the ‘Knutsford’ development by LandCorp. 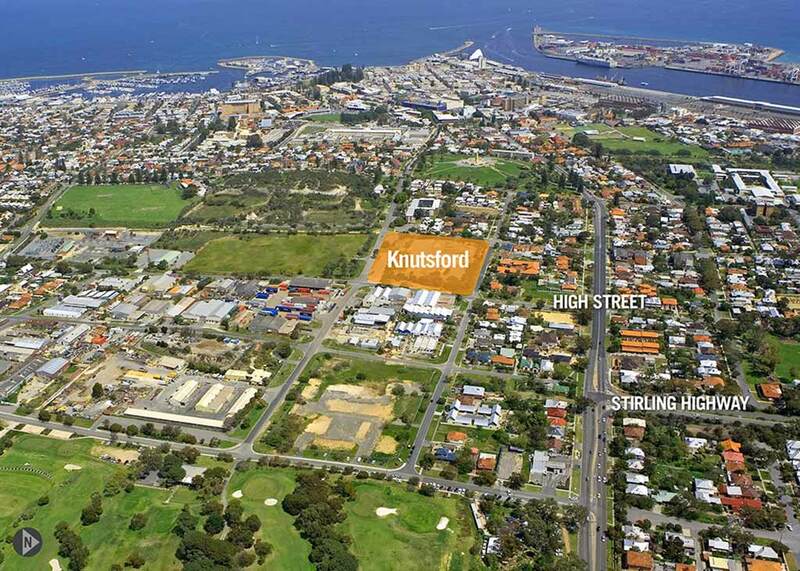 Including two apartment sites and 36 townhouses, the vision is that it will become Fremantle’s most sustainable new development, with a unique landscape connecting it to the greater Knutsford Street precinct. Josh Byrne & Associates (JBA) were engaged as the project Landscape Architects, Sustainability and Urban Water Consultants. JBA’s scope of works include the preparation of a landscape masterplan, landscape concept design, including the development of private lot concepts, delivery of a detailed design package, tender assistance and contract administration. JBA also developed the water management plan (UWMP), the energy strategy, managed the One Planet Living (OPL) certification and is provides consultancy services for sustainability and urban water initiatives on an ongoing basis. The East Village at Knutsford takes advantage of opportunities for urban greening both within the public and private realm, aiming to achieve minimum 20% canopy coverage across site. Water sensitive urban design includes rain gardens, permeable and pervious paving, verge infiltration swales and below road infiltration galleries, all working to retain and infiltrate water on site. The East Village at Knutsford is currently in development and will continue over the coming years. The project will be a significant research project providing important findings into shared water and energy technology, WSUD, building performance and community cohesion.